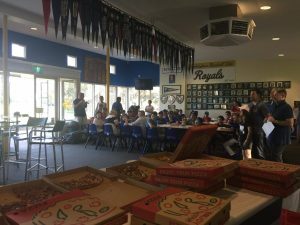 The Sandringham Baseball Club enjoyed a pre-Christmas Junior Pizza night yesterday where a member from each team was nominated for the Veritec Sportsperson of the year. The nominations for the first half of the season will join the other post-Christmas nominations and a selected player will receive a $200.00 Veritec-sponsored gift award at season end. Nominated players are those considered by coaches who display great sporting characteristics and a willingness to improve their game by training and playing in the right manner. 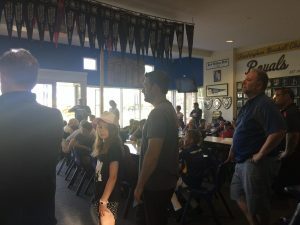 Coaches presented players with a certificate of achievement and it was terrific to see each player accepting their award with a small thank-you speech. 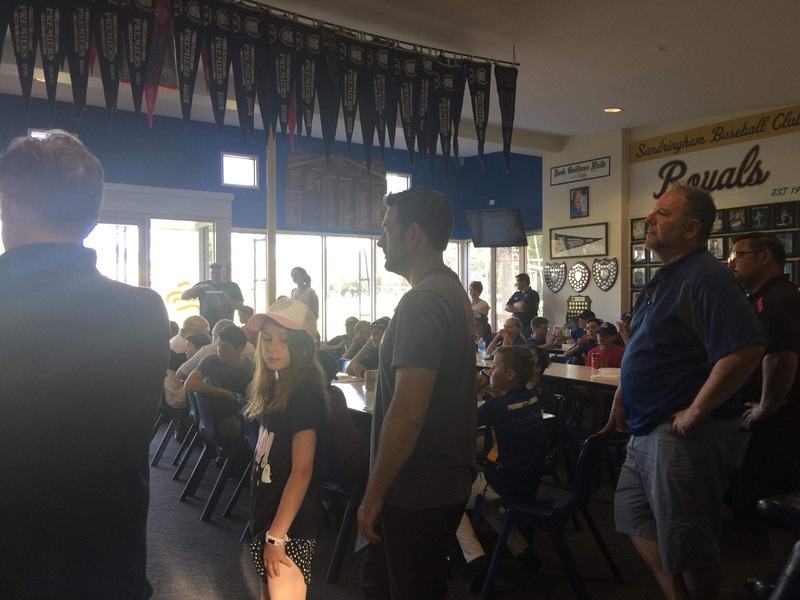 The night included Peter Gehle, our import player, providing the juniors with details of his baseball journey and how he came to arrive at Sandringham Baseball Club. 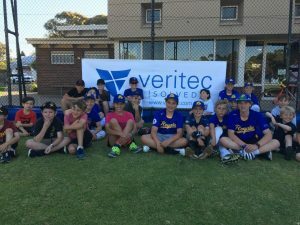 Club President Rick Wills acknowledged the contribution by Veritec, saying that having Veritec onboard this season has allowed the club to continue to provide an excellent facility for juniors of all ages to enjoy and engage in a sporting club such as Sandringham Baseball Club. 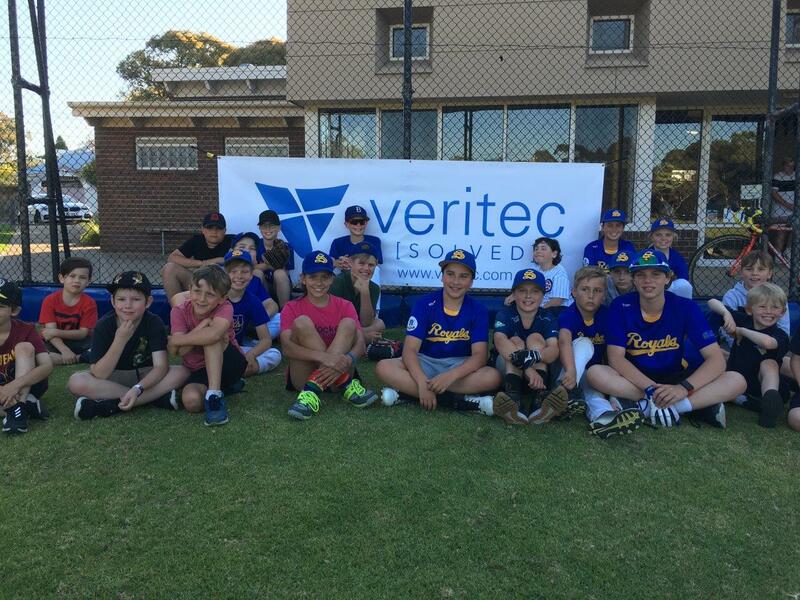 We are indebted to Veritec for their generous support. Rick also presented Bec Ness with her certificate and congratulated her…Bec is a member of the first stand-alone junior girls team to play at Sandringham and is believed to be the first at Baseball Victoria. 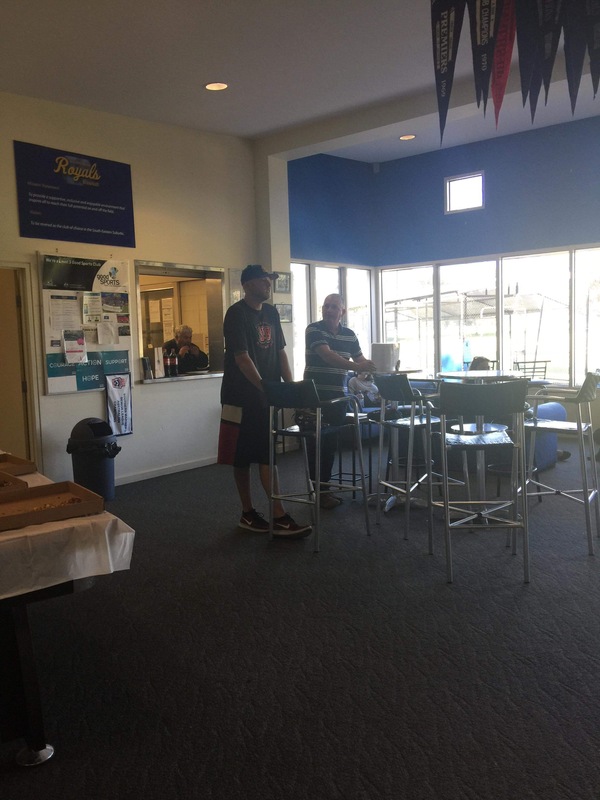 He encouraged other girls to join the club and build a strong junior girls program to complement the depth of Junior baseball at Sandringham. Players enjoyed a social night with a “Home Run Derby” some pizza and a run on the main diamond. Thanks to all for helping out, and we look forward to a successful 2nd half of the year.